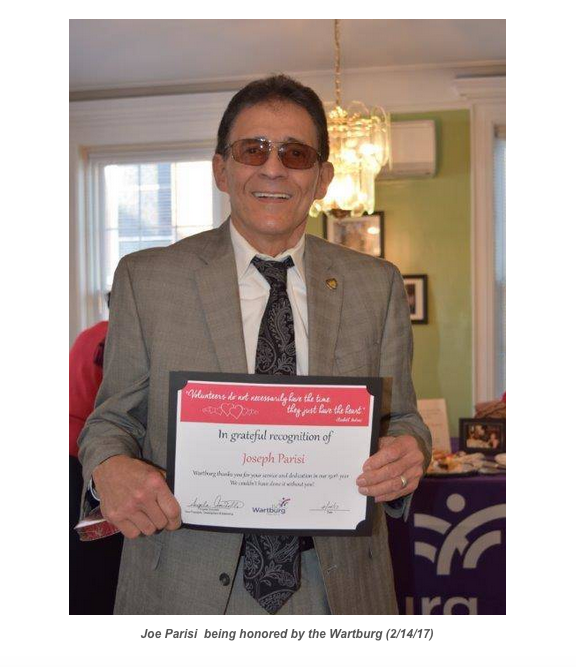 Joe Parisi, publisher and chief editor of the Mount Vernon Inquirer, previously attained worldwide recognition due to his past up-to-the-minute reporting as publisher/editor of the Pelham Forum newspaper. Parisi has lived a dangerous and action-packed life. Parisi grew up in what is known today as the South Bronx. He escaped the dangers and brutality of gang infested streets by participating in organized sports as a kid. Parisi excelled in baseball and basketball and was badgered by neighborhood kids on the way to playing fields. Parisi was a star high school basketball player in NYC back in the 1960's. Parisi was also a star baseball player and set a record in high school by striking out seventeen players in a seven inning game. After graduating from high school, although he had many scholarship offers, he put college on hold and enlisted in the Marine Corps just as the war in Vietnam was starting to escalate. Some thought that going to war and not capitalizing on scholarship offers from top colleges was truly insane. But, he and other neighborhood kids took off for Parris Island to serve their country nonetheless. While serving in the Far East, he learned that Texas-Western had won the NCAA men's basketball championship, defeating Kentucky 72-65. The date was March 19, 1966. Today, the school is known as the University of Texas El Paso . Had Parisi elected not to join the Marines and had accepted the Texas-Western scholarship offer, he certainly would have been on the team that won the NCAA men's basketball championship in 1966. Parisi has never forgotten the ill-advised decision he made as a youngster, but he has no regrets. During his four year tenure in the Marine Corps, the Marines realized that he was better suited to work in an office, and converted him into a court reporter. After a brief stint as a court reporter, Parisi volunteered to be a writer for Stars and Stripes, a military newspaper, and was accepted. After a crash course in journalism, he was assigned as a reporter and covered stories throughout the Far East. 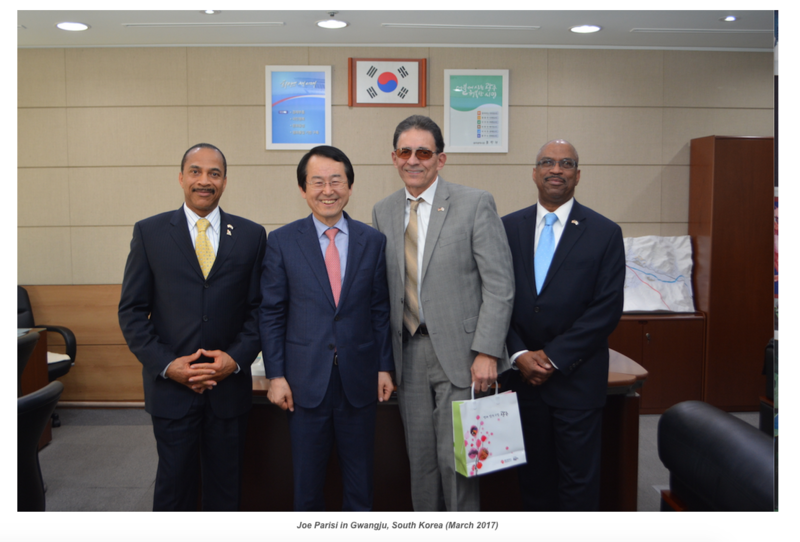 Parisi was almost killed one day when he went into a burning building in Sasebo, Japan, rescuing several sleeping residents. He was overwhelmed by smoke and became unconscious. The firemen rescued Parisi and took him to a local hospital where he quickly recuperated. Shockingly, the Japanese police thought Parisi had started the fire and arrested him. After thorough questioning of the people Parisi saved, Parisi was released as a hero, prompting a wave of positive press coverage on the matter throughout Japan. After leaving the Marines, Parisi returned home not as a hero, but as a villain. On the trip home he was actually reluctant to wear his uniform since the Vietnam War had escalated dramatically and returning veterans were spat on by anti-war demonstrators. 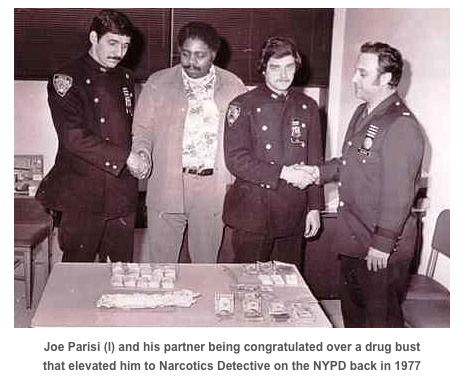 Parisi enrolled at John Jay College of Criminal Justice and attended college at night while he worked as a NYC police officer during the day. Working as a cop and going to college at night was a true challenge, according to Parisi. Parisi retired from police work due to a serious and life threatening line of duty injury, later becoming a healthcare professional (an orthotist). An orthotist is one who fabricates custom orthopedic braces. 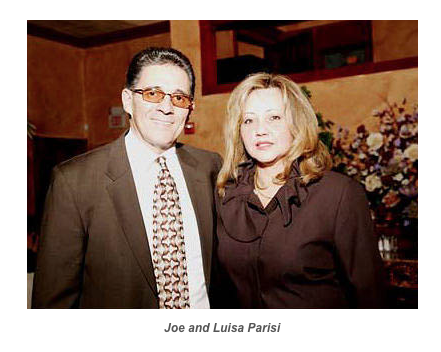 Parisi ran a very successful orthopedic appliance business in The Bronx and had a large factory in the rear. Parisi employed 15 employees and actually did business at the international level. Parisi's days as an entrepreneur came to a crashing halt when the rear-end leaf spring of a 1946 Ford he was working on snapped loose and struck his left hand. The injury was devastating and he nearly lost his hand. The injury prevented him from using his left hand for a very long time, so he decided to sell his share of the business to his partner. Sometime later, Parisi took the test to become a private investigator, passed it, and became a full-time private eye. Being a private investigator was like being a NYC detective all over again. Parisi wasn’t too thrilled about what he was doing, so he decided to abandon the field. Parisi has always been a restless type of an individual. He is not the do nothing type, so he decided to write a book. It took Parisi a long time to put the book together, all by his lonesome self, but he finished it and it has been a top selling book on the Internet for years. The book is updated periodically in an effort to provide readers with the latest information on the prostate. The name of the book is A Man’s Silent Torment – The Prostate. As for his training as a journalist is concerned, if you want to become a journalist, you don’t attend John Jay College of Criminal Justice at night, as Parisi did. So, the truth is he has no formal academic training as a writer, other than a crash course he took in the Marine Corps. But, Parisi thinks he has a lot of common sense and a natural talent that enables him to put thoughts on paper very fluidly. All the stories that some of you read on the Pelham Forum and in the Mount Vernon Inquirer have been generated by him at a feverish pace, since he has to wear a lot of hats as the editor of a newspaper. Parisi finds that to be an effective writer, editor and publisher, one must be imaginative and creative, and be able to put together stories that will interest not just a few of your readers, but most of your readers. Parisi also finds that headlines are extremely important, since most people that read a newspaper today, or jump on the internet seeking news, mostly the headlines. If a reader is attracted by a headline, he will certainly venture into the story. 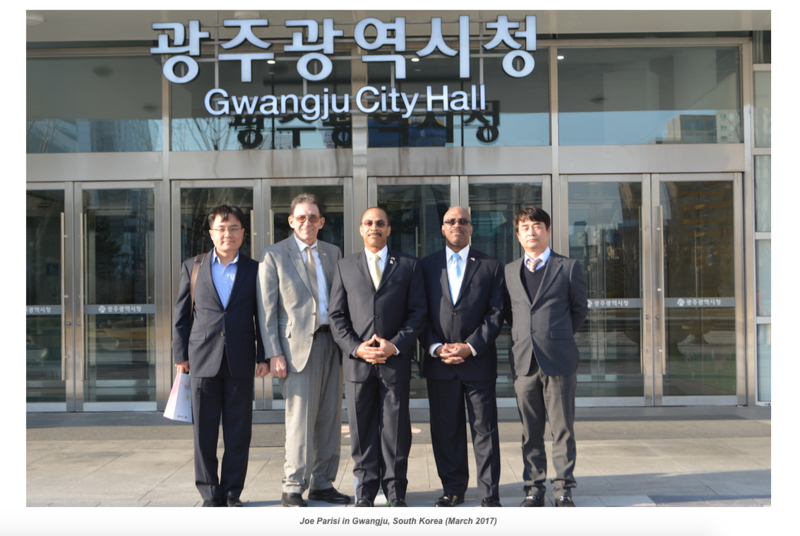 Therefore, Parisi tries very hard to make his headlines as eye-catching as possible. 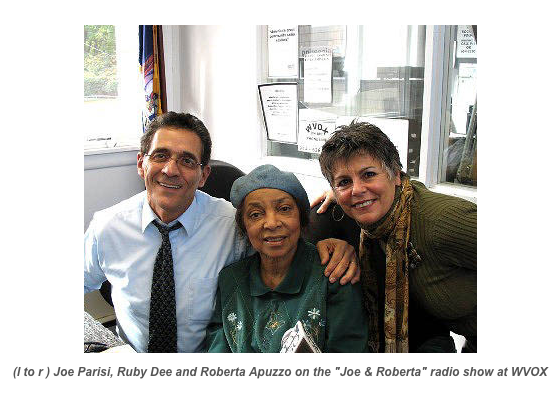 In December 2004, Parisi approached Mount Vernon's mayor, Ernest D. Davis, about publishing a community newspaper for Mount Vernon and he liked the idea very much. Parisi and his wife, Luisa, had a desire to reverse the negative press that Mount Vernon has received throughout the years. The Mount Vernon Inquirer was born in February 2005, a free newspaper that is known as "The Peoples' Newspaper." The February 2005 issue had 20 pages and in less than one year it grew to 40 pages. 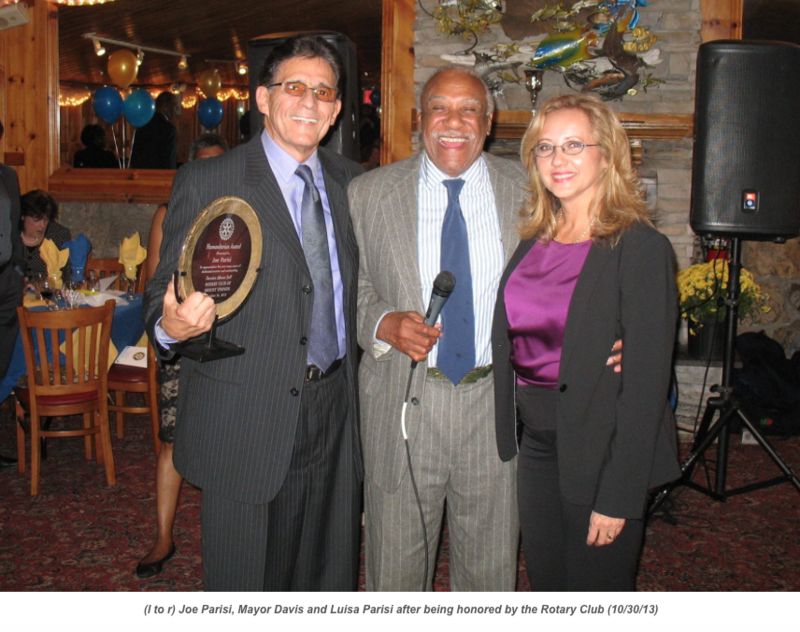 Parisi has received countless awards and the paper is read by over 40,000 people each month. 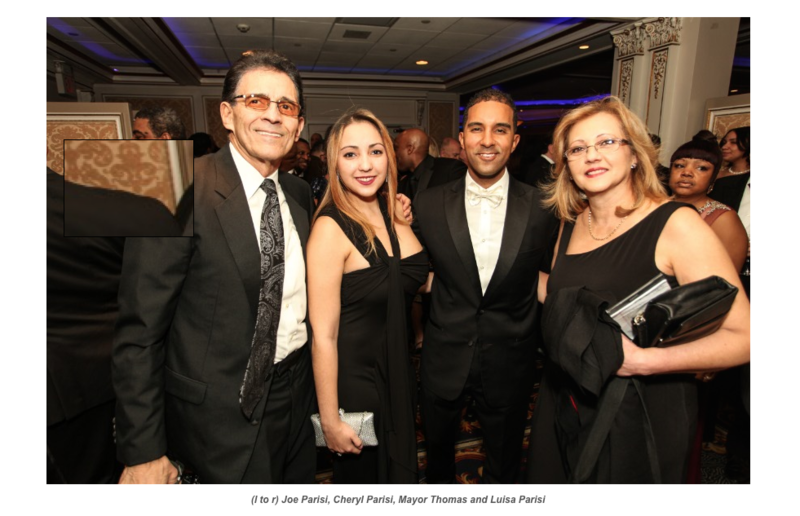 The Inquirer has become a household name throughout Mount Vernon, and the paper prints strictly ongoing positive news about the city – no crime. "Many in Mount Vernon say that the Inquirer acts as a breath of fresh air when they pick it up each month,” says Parisi.